Dr. Siddique's areas of special interest include all liver diseases, metabolic liver disease, genetic liver disease, fatty liver disease, cholestatic liver disease, hepatitis B and C, liver cancer, primary biliary cirrhosis and primary sclerosing cholangitis. I moved to Seattle in 2005 and this is home now. I enjoy spending time with my little girl and enjoying looking at the world through the eyes of my toddler. I also enjoy reading, travelling and going to the movies. Dr. Siddique is the director of the Liver Center of Excellence at Virginia Mason. It was a pleasure to visit with Dr. Siddique. She listened to what I had to say and understood my needs. Thankful for beloved *Dr. Asma Siddique and incredible nurse "*Shoe Ten!" I literally love my *Dr. Siddique keep her please. *Dr. Siddique has always been up front with me and she is a great provider to work with! Dr. Siddique is wonderful! She doesn´t rush me and ans. in a way I can understand - She cares about me & my health history. That´s why I come to VM. She makes sure my doctor here knows about all my test & care. I love this doctor & feel I am in good hands with her & her knowledge of my issues. Very happy with her. Most of the responses should really be NA for me just a follow up visit. But Dr. Siddique is my favorite and well deserves all the ´excellent´ ratings. I would highly recommend Asma Siddique MD to any one!! Also included my husband in the conversation. Great "bedside" manner. Dr. Siddique (sp?) is always clear in explaining my health issue and in explaining why follow-up tests would be important and helpful. I always look forward to seeing her. Well worth the 20 hour roundtrip drive. That should say it all! I am so grateful for Siddique MD, Asma. she is very thorough and detail and caring about her patient. I had caring providers at my appointments at the VM, also that my condition can be managed in a positive way. My level of stress was low because of the treatment I received. Dr. Siddique is the best!!!!! 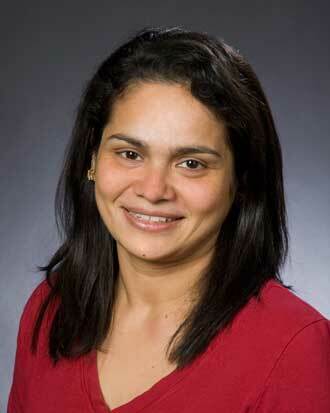 Always get great service from Dr. Siddique.....she´s knowledgeable empathetic and a good listener. dr siddique is wonderful! she went over everything with me without feeling rushes at all. she is kind and caring. plus she emailed my results right away and explained it all. I absolutely love my new Doctor. Dr. Siddique. She is so caring and patient and doesn´t make me feel rushed or bad about asking questions. she told me things found on my ultrasound my old doctor did not share with me. it was only 9 months since my last ultrasound and visit with my old doctor and I I was surprised but glad to have a second opinion and had no idea of some of the other problems and concerns. I feel very grateful. I´m very impressed with Virginia Mason. It´s very good and I glad I´m to chose the right one. Dr. Siddique & staff are great. Their people skills are excellent, very caring. 9. Excellent. I am hard of hearing and told her so, but still couldn´t hear her. She was nice. I LOVE Dr. Siddique. Her positive attitude and warm personality makes dealing with a difficult health problem something I can manage. She´s good at sensing your anxiety and will upfront ask you how you´re feeling, what you´re thinking, and then she immediately puts things into perspective for you. She´s not dismissive of your concerns but just very helpful in her manner of speaking so that you feel like she´s there 100% for you. I need info about what symptoms should necessitate a call to a doctor or be of concern (between apptmts). In time between MD appts., I am left wondering if my symptoms need intervention. Dr. Siddique is the best. She always greets me with a smile and is very caring. I feel so lucky to be her patient! Dr. Siddique was caring and informative. Dr. Siddique was approachable knowledgeable and most importantly did not pretend to know everything. Always two thumbs up! Dr Siddique is outstanding. I was very sick and now am healthy and getting healthier every day, thanks to the expertise of everyone involved in my case. Dr. Siddique is a very good and knowledgeable physician. I am very fortunate to have her taking care of my health issue. Asma is among the best physicians I have had the pleasure to see. I could not say enough wonderful things regarding the physicians, I have see since coming to Virginia Mason. I would highly recommend them and already have done so to friends and family. The staff was also very nice and accommodating.